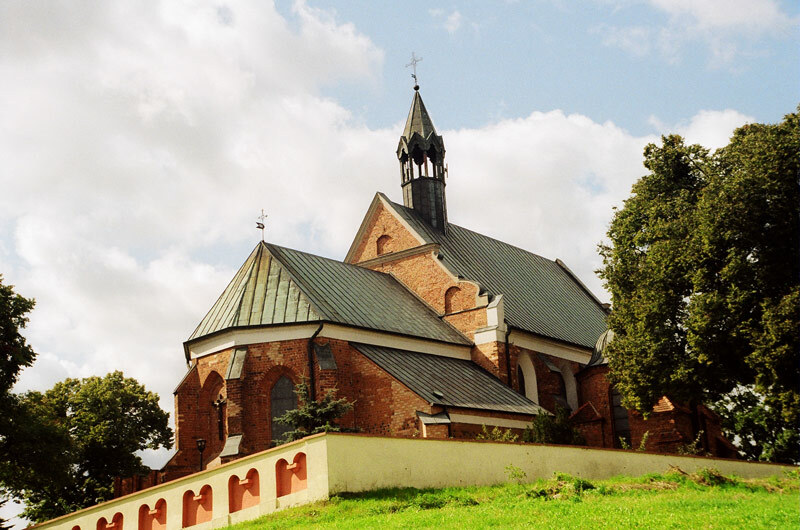 In this town Jakub Krzyżanowski used to live as a bachelor and, later, together with his family. He performed various functions in the manor house of the Skarbek family and, later the Czetwertyński family as well. In 1775 Izbica Kujawska Wincenty Fereriusz, the first son to the Krzyżanowski family, was born. There are several interesting historical buildings in the town. The Gothic parish church of the Assumption of the Blessed Virgin Mary dating back to the 15th century, to which a church-porch, vestry and belfry were attached in the 20th century. The interior of the church was decorated partly in the Baroque style. The Evangelical church of Izbica was erected in the neo-Gothic style in the years 1907-1909. It has been empty since the end of the war and since 1992 it has been a private property. Next to the church there is a well preserved small fragment of the cemetery. The synagogue of Izbica dates back to the half of the 19th century. After the Second World War it was used as a warehouse and furniture store and in 2000 it was given to the Jewish commune from Wrocław. The Nazi occupation did not spare the Jewish cemetery. Today, there is only a solitary pine tree standing on the hill, which reminds of the cemetery. The manor house in Izbica Kuj. is located in the western part of the city. It was rebuilt several times and since the half of the 18th century it has been the seat of successors of families in Izbica. Justyna Krzyżanowska, the future mother of Fryderyk Chopin, lived and worked there for 8 years. All that remained of the manor house is one of its entrance gates dating back to the 19th century and remains of the once splendid park.